The word "buzz" is used to describe something that makes a humming, murmuring sound and is often associated with viral news, ideas, and rumors. Information on the Internet often grows old within hours. The .buzz domain is specifically created for websites focusing on the hottest topics of the day. 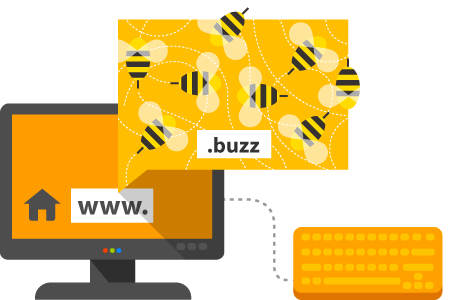 Reserve your .buzz name and make your website a crossroads for viral topics.